I’ve had “make zucchini-banana protein muffins” on my to-do list, unchecked, for two weeks. Every time I venture into the fridge, I imagine the two requisite oblong squashes looking up at me expectantly, crestfallen when I summarily close the door in their face. I want to make them, I really do. What is it about the start of fall that demands a heavily spiced cucurbita loaf? But my craving are invariably met with a timely excuse. Yesterday I didn’t want to scrub the muffin pan, today I don’t have time to wait for them to cook. If only goodwill and an obstinate appetite could conjure my zucchini bread; no whisk, spatula, or oven required. “I don’t even need the whole thing—just a bite, one taste!” I bargain pleadingly with my fantastical bread, as my courgettes judge my laziness harshly from inside their temperature-controlled bin. Alas, I must’ve done something that pleased the craving gods, because lo and behold, I stumbled across Zucchini Bread Oatmeal. Are you familiar with the Food52 List called “Genius Recipes?” This brilliant baking hack belongs at top. 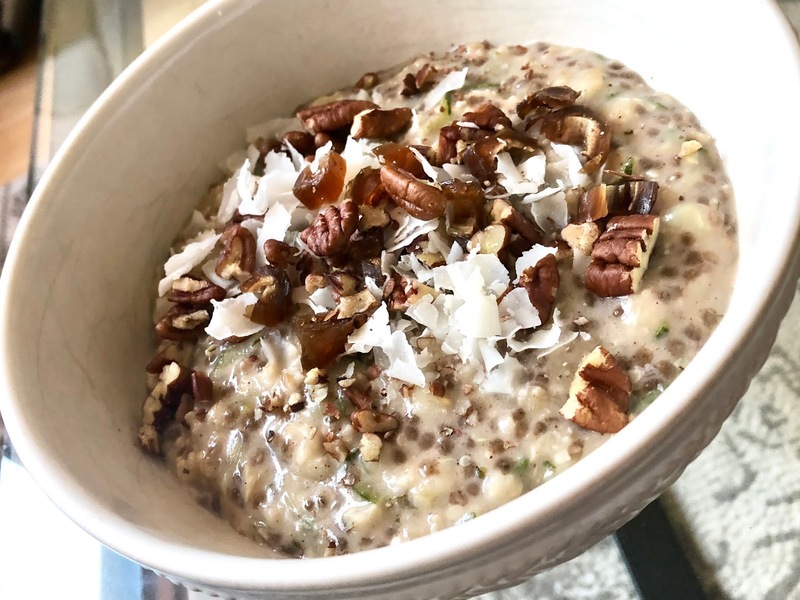 Here, all the key elements of a loaf of zucchini bread are added to simple stovetop oats—zucchini, cinnamon, nutmeg, vanilla—then stirred continuously in sweet, velvety coconut milk (soy milk or almond milk make great alternatives). Chia seeds give the porridge a thick, pudding-esque texture, so you don’t feel like you are eating oatmeal so much as the just-shy-of-cooked-through inside of a muffin. Cue the Pinkberry toppings bar please, because what you spoon on top matters almost as much as the pot's contents. 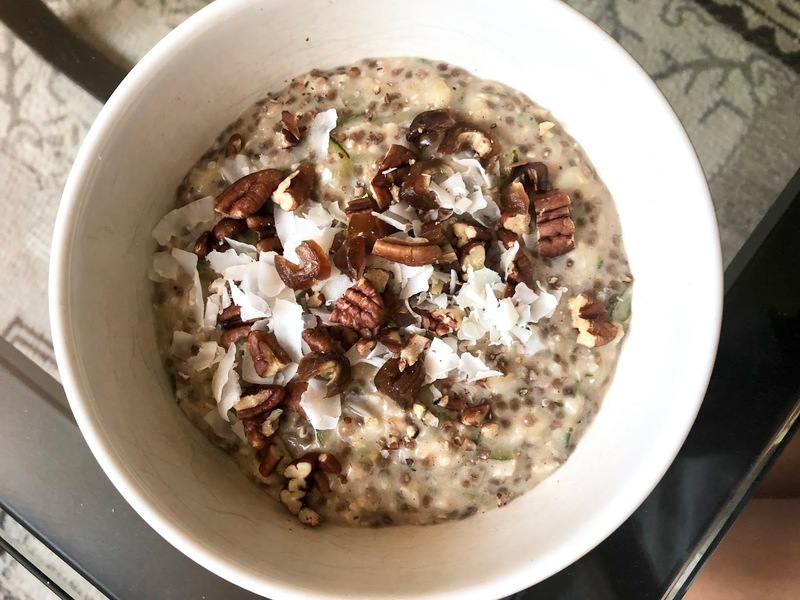 I chose coconut chips, pecans, and chopped dates, which added delightful sweetness and crunch to the gooey porridge. Chocolate shavings, raisins, and a drizzle of honey are other great options. I take collagen peptides, so in went those too; if you are looking for a protein boost, try swirling in a spoonful of pea protein or, at the end so it doesn’t curdle, Greek yogurt. While I reveled in the luxuriousness of my dessert-for-breakfast, I thought of all the other treats I could hack with this formula. Carrot cake, banana bread, pumpkin loafs—all excellent contenders for the stovetop miracle. 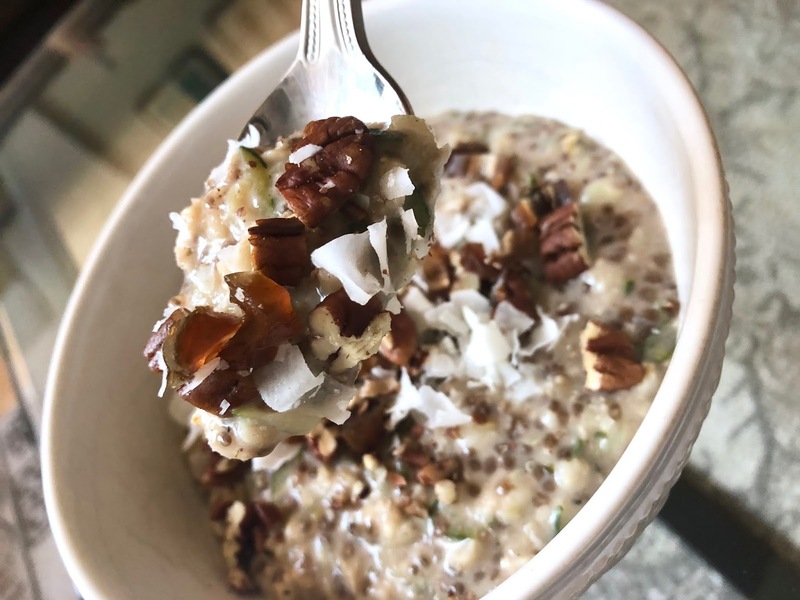 A big batch of this 10-minute single bowl whip-up will keep for a few days, just add a splash of milk before heating it in the microwave. Shocking to no one, I ate a double portion in one sitting. 1. Add all of the oatmeal ingredients except for the vanilla to a medium pot and stir to combine. Bring mixture to a simmer over medium-high heat. Reduce heat to medium. Cook uncovered for 7 to 9 minutes, stirring frequently, until thickened. 2. Remove from heat and stir in the vanilla. Adjust spices and sweetener to taste, if desired. 3. 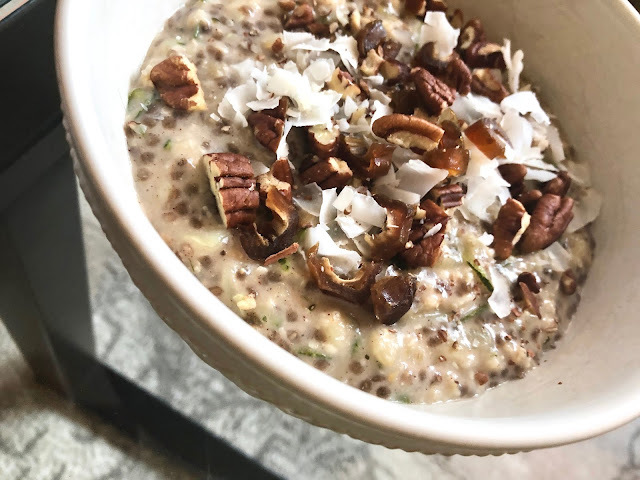 Divide the oatmeal into bowls and top with your desired toppings. Leftovers will keep in an airtight container in the fridge for 3 to 5 days. To reheat, add the leftovers to a small pot along with a splash of coconut milk. Stir and heat over medium until heated through.